Homeowners in Southwest Florida who had to deal with hazardous blue-green algae in 2018 want a permanent fix to the mucky bacteria that has hurt tourism and livelihoods of neighbors alike along the Gulf coast. Gov. Ron DeSantis signed the first executive order of his term to secure $2.5 billion for Everglades restoration and creating a blue-green algae task force to help stop large outbreaks Thursday. Just a few months ago, local canals were filled with blue-green algae, something neighbors don’t want to see in their backyards again. Kreise’s canal was filled with algae for most of the summer in 2018. These are homeowner experiences DeSantis wants to prevent from happening in the state in 2019. Roger Barlow hopes this announcement prevents his North Fort Myers canal from being polluted by the blue-green algae again. 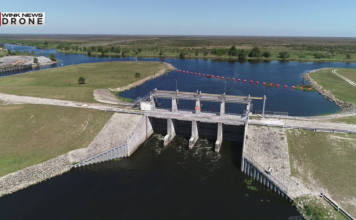 A permanent solution will take years, but changes will begin in the near future, as DeSantis works alongside the Jacksonville District US Army Corps of Engineers to see if it’s possible to release less water from Lake Okeechobee into the Caloosahatchee River, which has been at least one cause for blue-green algae locally. Kreise said the algae became a hazard in her backyard, causing her daughter to become sick and have trouble breathing.